Tea is a natural oxidant and a source of natural flouride. India is one of the big players when it comes to tea production. Tea is exported in large amounts from India. India coounts for 31% of global production of tea and is thus one of the world leaders. India has been producing tea for the last 150 years. India offers a wide range of tea such as the original Orthodox to CTC and Green Tea. The tea leaves from Darjeeling and Assam have their own rich aroma in which can take a lot of pride. The total turnover of the tea industry of India is around Rs. 10,000 crores. 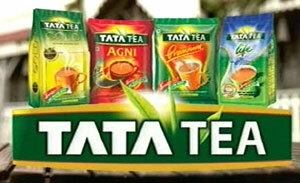 Here is a list of the most popular Tea Brands of India. 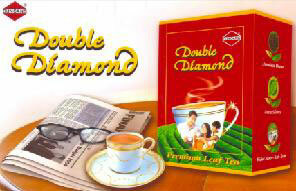 A premium CTC leaf brand, Double Diamond represents strength – that of character, achievement and elegance. Just a spoonful of this tea brews a rejuvenating cup, where strong flavour and aroma co-exist in fine balance. Packaged in the Duncans home colours and iconised diamonds, this flagship brand is the chosen cup of the educated, young and forward-looking couples of today, who believe in the ‘right quality at the right price’. A trendsetter in the jar segment, Double Diamond maintains an attractive inventory of jars and is also available in small packs. Red Label is for the housewife who seeks to bring her family together over a cup of great Red Label with its perfect strength taste and colour. 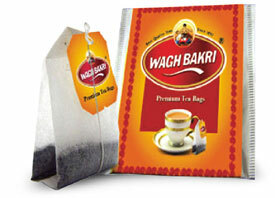 With the tag line ’Chuskiyaan Zindagi ki’, It is the second largest tea brand in the country. Red Label is a 107 year old brand and has tremendous equity and heritage in the Indian market. 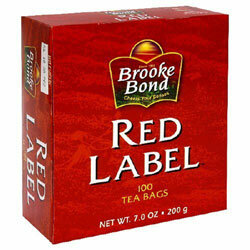 Red Label holds the Guinness Record for the world’s largest tea party. It is now proven that regular consumption of 3 cups of Red Label Natural Care every day can enhance one’s immunity and help one fall ill less often. 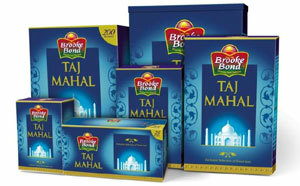 Brooke Bond Taj Mahal- India’s best tea since 1966. For over four decades, Taj Mahal has been the gold standard of tea in India. It has been a pioneer of innovations in the Indian tea market. Taj Mahal was the first to introduce tea bags and also the first to usher-in new formats like instant tea and dessert tea. Taj Mahal is the most premium brand of tea in the Indian market. Since 2006, Saif Ali Khan is the brand ambassador of Taj Mahal Tea. Taj Mahal is special because it is made from the rarest and the best tea leaves. 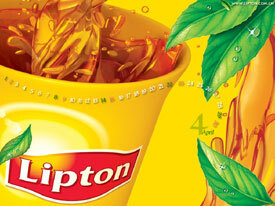 Lipton is a very famous brand of Tea in India, currently owned by Hindustan Unilever. Lipton teas are a blend selected from many different plantations around the world, from well-known producing countries like India, Sri Lanka, Kenya, and China. Lipton Yellow Label is blended from as many as 20 different teas. Available in over 110 countries, Lipton is particularly popular in Europe, North America and the Middle East, parts of Asia and Australia. Lipton’s main pillar brands are Lipton Yellow Label and Lipton Iced Tea. Other product lines exist as well, like the Lipton pyramid range in Europe and North America, and Lipton Milk Tea in East Asia. Marvel, a leading branded organization, is one of the India’s most recognized and respected brands. Conceived in 1994 by Shri R.C.Jain, the Marvel group has gone on to grow very successful business in sectors ranging from FMCG, Real Estate and Health Care. Marvel Tea Estate (India) Limited is amongest India’s top 3 branded tea packaging companies, with over 3000 distributors network. 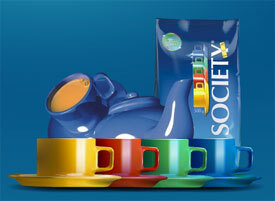 It has a unique brand identity and tea taste which is the key strength of the company. 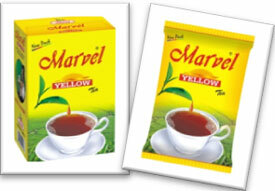 Marvel Tea is Rich in taste, flavour and aroma and is Made for premium class segment. 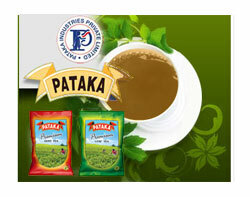 Pataka Tea, the flagship unit of the beverages ventures of Pataka Group, was set up in 2000 for operations in the packet tea industry. The offerings entail a diverse portfolio of brands, namely Premium, Mukta and Special, which are increasingly gaining popularity with the country’s tea enthusiasts. Pataka Tea and the family of beverages to follow are in coherence to maintain the highest standards of inclusive corporate ethics, and commitment to the communities and environment. Mohani Tea Leaves Pvt. Ltd is a pioneer amongst packet tea brands in India. Starting in 1992, Company has come a long way in the past 20 years to establish itself as a leading tea brand in North India mainly UP / UTTARANCHAL along with significant presence other Indian states. 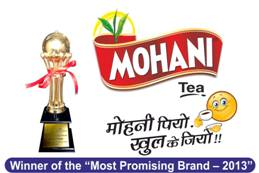 Mohani is the first regional tea company in North India who have received ISO 22000, HACCP and BRC certifications. Further, the process has already started for SA8000 Certificate. Thus, Mohani Tea will have the distinction of being the only Tea Company in North India with both International quality and Social accountability certificates.